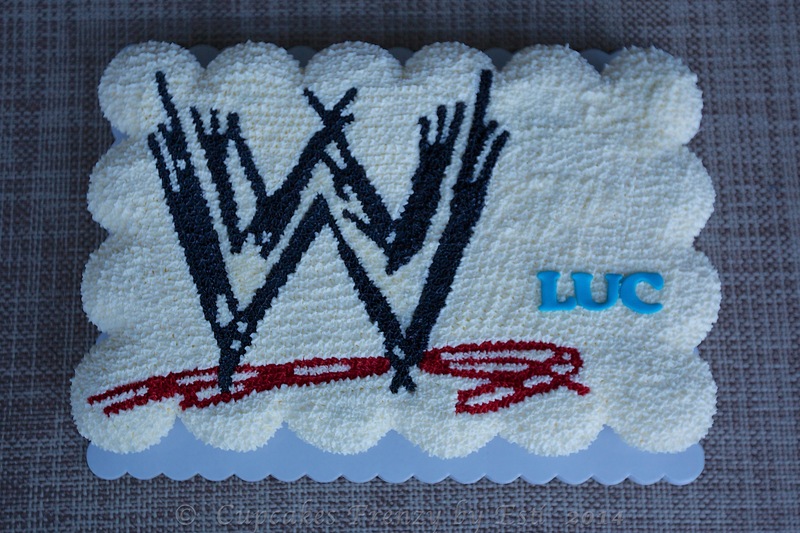 Jo’s order for her son birthday, these are chocolate pull apart cupcakes cake with buttercream frosting, WWE logo is made with freestyle hand drawing. 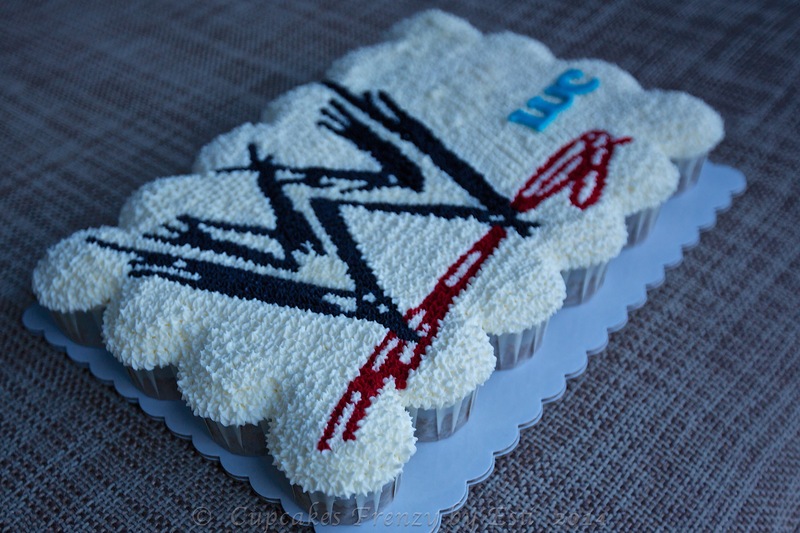 This entry was posted in buttercream, cameraholic, celebration, Cupcakes, note from the baker and tagged 11th birthday, birthday celebration, birthday party, boys, buttercream frosting, chocolate, chocolate cupcake, Cupcakes, favorite, Gift Ideas, Manila, pull apart cupcakes, pull apart cupcakes cake, WWE. Bookmark the permalink. Love it! How’d you get the texture? Did you use a star tip?